Its main purpose is to provide you with an easy way to play or download antiX help videos from Youtube. It can do this without using a modern, heavyweight, web browser that might place high demands on your system which is sometimes seen as degraded performance. Streamlight can be used in partnership with almost any web browser, even those that cannot natively handle videos. It is also possible to use it without any web browser. It will work with any application in which your cursor can highlight the address of a video. For example a word processed document, a PDF file, a plain text email, or a terminal command line. Because it is so economical in its use of your system resources, Streamlight is equally well suited to both modern powerful kit, and older less capable kit. Videos can be handled from a range of other popular, anonymous video streaming services, in addition to Youtube. These should be regarded as a bonus rather than a mainstream goal of Streamlight. The focus is on delivering antiX help videos from Youtube to hardware of greatly differing capabilities. Features and facilities beyond this objective are deemed to be outside the scope of the project. The user prefers to work by clicking buttons rather than by typing commands. Their interest is in using their system rather than understanding its technicalities. Beyond the applications they normally use day-to-day, they have low levels of confidence in their technical abilities. Applications that are simple to use and easy to understand are high priorities. To automatically start icon mode, place an item in the session startup file. A window opens asking which mode is wanted. In this scenario the lightweight web browser, Dillo is used to browse Youtube videos. This is for the sake of illustration only, other web browsers may also be used. The address is provided here for your convenience and to simplify demonstrating the scenario. It displays a list of antiX help videos to save you the task of searching for them. is shown in the address bar then highlight the address with the cursor. 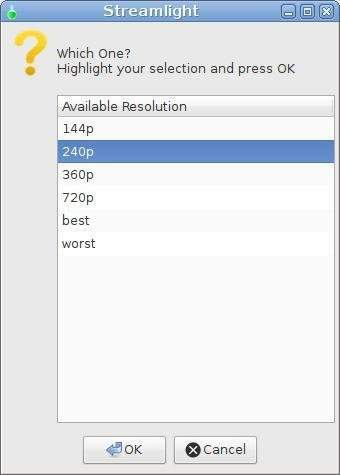 A window opens showing all the resolutions (on screen video sizes) in which the video is available. Select one and press the OK button. 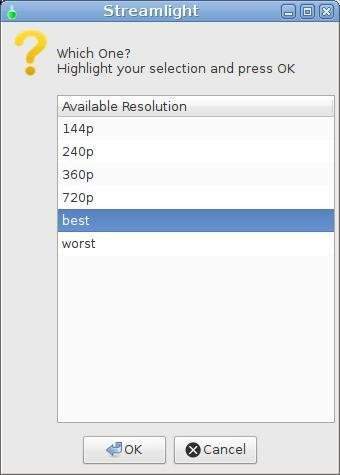 best and worst are aliases for the highest and lowest available resolutions. They produce either the largest or smallest on screen video size. The smaller the size, the lower is the demand on your system when playing the video. 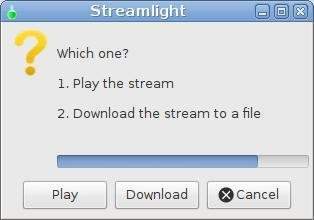 A window opens asking whether to play or download the stream. It simulates obtaining it from an email or other application. The video it points to is quite brief and downloads as a small file. This will use the video address you have currently highlighted and quit when it has finished. Select best and press the OK button. The larger the size, the greater is the demand on your system when playing the video. If a button is not pressed before the timeout ends the stream defaults to Play. A window stays open while the stream is downloading. All downloads are saved as a file in your Downloads folder. The file is named in a standard way.